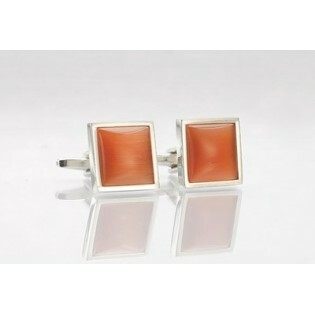 Add some extra color to your shirt cuff with these silver and orange cufflinks. 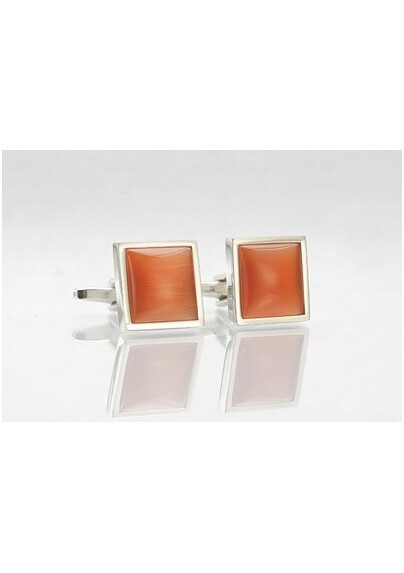 Although color matching is not as important when combining cufflinks with shirt and tie, we suggest you wear this orange cuff link set with a classic white, tan, or brown dress shirt. Made from polished stainless steel with orange glass inlays by designer Mont Pellier.